I need to work on my perfect quarter-inch seam. In spite of the challenges, I finally finished my first medallion quilt—thanks to this beautiful quilt designed by Lynette Jensen for a Craftsy class from last year. I mentioned this project in an earlier blog post. At left is the quilt Lynette Jensen designed. At right is the actual quilt top I completed. 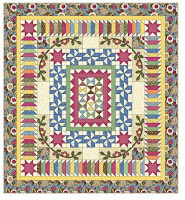 There are so many reasons I wanted to make this quilt, but the most important was that I knew it would be a challenge. It was! I chose different colors, but I followed every direction exactly as written. She did a beautiful job of explaining details, by the way. But, I will admit, I struggled with this one. I’ve always had a problem with anything to do with triangles. Of course matching points is always tasking. 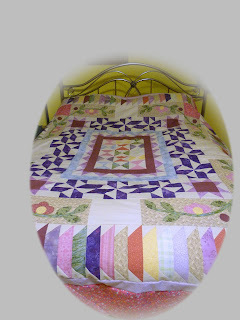 My biggest issue was the border in the center—the purple border in my quilt—which was a bear for me. It included sewing lots of tiny little pieces, including lots of squares cut into tiny triangles. Speaking of which, I had a few issues with the hour-glass shapes in the very center, for that very reason. But, I got through that after a few tries. The purple border would not have worked if my life had been dependent on perfect ¼” seams or else. I’m not sure where my hang-up was, the sewing, the pressing, the cutting, or perhaps a little of all three. I made it work and if you didn’t know I varied a few seams to make it work, you would never know. I definitely went from below scant quarter-inch to way beyond chunky quarter-inch seams. Because I was so bothered by this, I decided to make a little table runner out using the same pattern. I wanted to diagnose where my problem was. This is the result, at left. 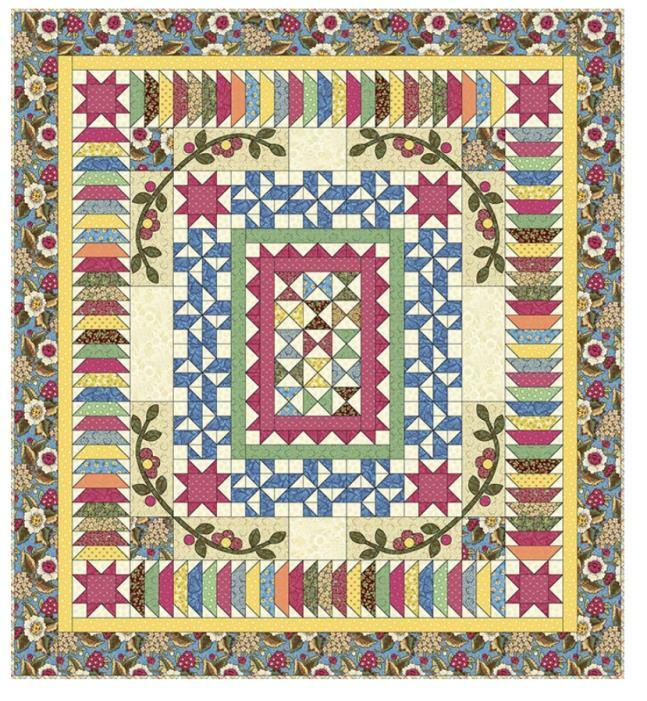 I concluded that I have a long way to go to be as proficient at quilting as Lynette Jensen, but that gives me something to strive for. This is just a matter of practice needed. The points are good. The seams are all in the right places. It is definitely not perfect, but I can live with this. So, I guess the old adage still applies, practice, practice, practice.